This is a text area to display and enter formatted text. 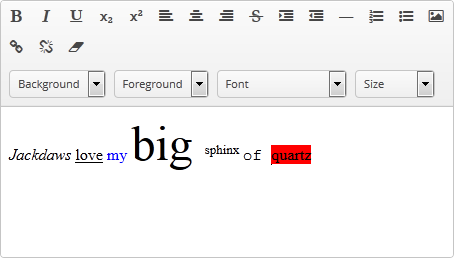 RichTextArea is implemented only for Web Client. Basically, RichTextArea mirrors the functionality of TextField, except that you cannot set datatype for it. So, RichTextArea is intended for work only with text and entity attributes of type String.